The big red button has been pushed and we’re away for 2019. The game we all love is back for 2019 with a brand new look. Head to fantasy.afl.com.au and enter your email address/password to get straight in. If you haven’t played before, hit register and you’ll be playing in a flash. Essentially things still run the same with Fantasy Classic, but you’ll notice the new ‘player cards‘ feature. This allows you to see more information on the field view of your team. You can flip an individual card or flip them all over. Fantasy Coach subscribers can find all of the info such as breakevens, projected scores and byes here. To change your captain, sub players or trade you will need to flip the card and click the relevant icon. Other than that, it is a much fresher look – in line with how the AFL site looks – as well as being clean for all platforms. A lot more is mobile friendly thanks to the new list view. For people who want a heap more stats, you can toggle the list view tab to check this all out. The Stats Centre has had an overhaul. There’s a lot more information in there. Plenty of time has gone into Fantasy Draft. You can’t hold your draft until 16 February, but you can set up your league and get your pre-draft rankings set. This is an improved experience and we have seen a live draft in action and it is much better experience than in the past. More flexibility will be added next year for draft leagues. Make sure you provide feedback in July when the yearly survey comes out – especially if you want keeper leagues! Toyota Corolla Hatch ZR – 1.8L Hybrig (CVT) valued at $36,414, AFL Grand Final package for two valued at $4,000 and an AFL Live Pass voucher valued at $99.95. 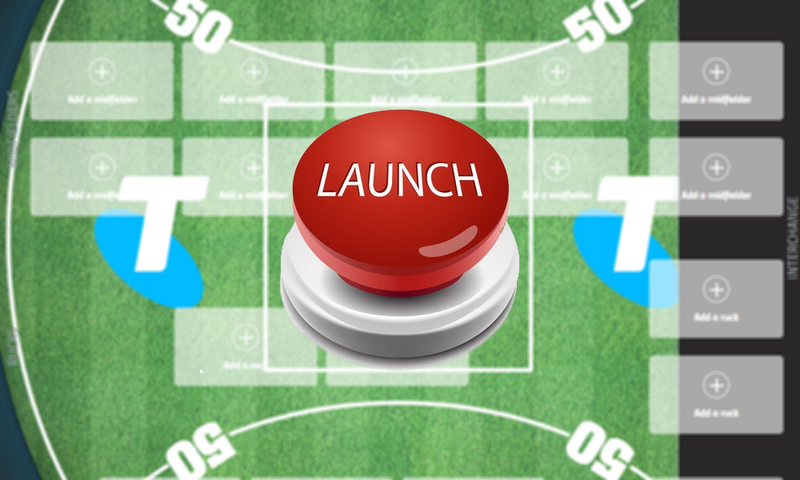 $10,000 cash, AFL Grand Final package for two valued at $4,000 and an AFL Live Pass voucher valued at $99.95. $7,000 cash, AFL Grand Final package for two valued at $4,000 and an AFL Live Pass voucher valued at $99.95. Top 100 coaches will receive a New Era hat with their final ranking. Weekly prizes for the highest round score will be an AFL Live Pass, $100 AFL Shop voucher and a Sherrin Full Size AFL football (total value $375,95). March 4 is the cut off for the early registration competition. There are four prizes for the random winners. 2 x $500 AFL Travel vouchers and 2 x fully catered boxes at the MCG for 16 people. Is it just me or have they made the website worse? No drag and drop ability. definitely, don’t understand why they even needed to change it…change for change sake with no functional improvement, but just enough change to piss us off! Drag and drop is something we mentioned first time we had a play, but I’m enjoying the site. Spend a bit more time on it and you’ll be hooked. Don’t fear change! While I love Fantasy Footy and appreciate the work that must go in to the site I just feel like the most important page of the website has gone backwards. Please bring back drag and drop. Missing lots of things, No league regen from last year, No personal history stats like previous years, No drag and drop, No scroll bar on players list must keep hitting “load more” Certainly going backwards. Yeah there doesn’t seem to be the ability to remove a player from your league. I’ll pass on the feedback around colouring the player cards for byes. Needs a counter as well. Is there a way to sort the players in my team by price? Currently it’s a big hodge-podge. The players are all in my team in the order I picked them, not in the order they are priced at. You have to click of the circular arrows top right of player to “flip” the card. Then use the crossed-over arrows to swap the players around until you have them in order…Unless someone has found an easier way? Hit the flip all cards to make this quicker. It’s an interesting thing. Drag and drop would be good, but the community feedback is mixed. Auto sort by price or average… or having ability to do it yourself. 1. Bring back drag and drop! 2. Would love to be able to do all the actions (emergency, sub, captain, vc etc.) on one screen without having to flip the cards over. Maybe just put all the stats on the back of the cards such as L3 avg, BE, % ownership etc. 3. Is there no way to view how many players we have from each bye or am I just not seeing it? Anyways, new site looks fresh and clean. Bring on Round 1! Think you nailed my main grips there James. Really dislike the load more button. 1. We mentioned that on first look too. 2. Flip all cards at once. I don’t think it’s too much of a chore – especially as you can see whole team in ‘normal’ mode without clunky buttons in the way. During the season, you’re not using these heaps. 3. Passed the bye stuff on. Also – worth checking out the list view of the team. This is something I’ll be using a lot. As much as i dislike the no drag&drop function .. the LOAD MORE button takes the cake as the worst thing on the internets. The size of numbers next to your name broke the system. I’m told this will be added in next release. The Grinch does have a sense of humour, Lets see if we can bring it out a little more during 2019! Intresting first team reveal there Warnie! Love the backline, but are you comfortable going that thin in the mids? After all that’s where all the points come from! No Devon or Merrett ?!? Heeney? What about His in ability to hit those 120s? This was a VERY quick team whacked together to use as a screen shot. Nothing more! Having to hit “load more” 50 times in the player list to get to lower priced players is going to give you RSI…Why not just 1 scroll bar? Fantasy coach i guess makes it a little more user friendly, Would still like to see more regarding bye rounds. 100% need to bring the drag and drop back. If not, automatically sorting by price for those of us with OCD will fix the problem. Isn’t there a way to see the % ownage stats of all the players anymore in the Stats Centre? I was disappointed when I didn’t see that straight up. It’s coming! Click in player should give you that info. Also, way too many steps involved to see an important stat like % ownership. Fantasy didn’t need to change the site at all… just the mobile app. I didn’t hear one complaint about the site ever. I don’t even know how much input Warnie and the rest of the boys have but they are sounding a bit like cheerleaders at the moment. Hyping up the new site all preseason only to find out it’s gone backwards. I guess that’s what they are paid to do though, miss the days where they had no bias. The site definitely needed a change. It was getting very slow and clunky. Was working off the same base for the last five years. Also, I reckon a big part was to make it nice and clean like the new AFL site. No input, but we we taken through it a week or so ago and have been playing with it. Maybe because we saw it in use made it easy for us to use? Yep, there’s some things missing – and it looks like some of those are being added – but it works very fast, I can select my team easily. While the drag and drop would be nice to have (one of the first things we mentioned on our first play), my experience has been fine. But if it isn’t for others, then we probably need to educate a bit more on what to do. BTW – the flip cards is just something to get used to. Works well for me… however, the old-school player and nerd I am, I’m going to be using the list view a lot more. If this years site is better than the one we have had for the last few years then im a monkeys uncle. It looks okay without selecting any players, after that it’s just plain old boring. Loading players really? this is 2019 yeah. What’s with these flippin cards. Its been released they are just waiting for the App store to approve it. I hate being negative but this is definitely a step backwards. The LOAD MORE feature is terrible, it took me approximately 4 minutes just to scroll down and load up all the mids and I wasn’t even looking at any them, I resorted to just typing players names in the search bar to fill my team. The card flip thing is a bit cumbersome and unnecessary also. Can we please just have last years back? I thought it was near perfect. I have started an AFL Draft league. But how can I see a list of coaches who have signed up??? @ Warnie is there a way to auto replen last years leages? This will be added soon I’m told. Hit the oval next to the save button. Still having trouble with this new f&#”%d up format.No access to player cards or anything else you guys are mentioning.Just my team listed top to bottom of page !!! !Goodbye AFL Fantasy you F@#$heads!!!! It’s a responsive site, so if you’re on a phone or tablet that has smaller resolution, then it will go to list view. Just like how this site (and pretty much every site) has different formatting depending on the device it is viewed on. A field view doesn’t work/function on smaller devices. The app will be released soon of you must see things in a field view, or jump on a desktop if you really need to see that. The mobile site lets you select players, sub them, make them captains, everything that you can do on the desktop site. There is no save button as it is not needed. There is no need to flip cards as you hit the ellipsis (…) to bring up the C, V swap, trash functions. There is a difference between mobile/list view and the desktop page due to size of screens, like 99% of websites out there in 2019. If that is too hard, try the app when it is available (which is very similar to the mobile site because, hey, it’s on a mobile). If you can’t be bothered spending a couple of minutes becoming familiar with the site, then it will be sad to see you not playing this year. Will we be able to add Celebrity teams to our League this year? Always loved that feature. This usually rolls out in February when all of the celeb coaches to be added have signed up. Didn’t think the AFL fantasy UI could get worse, but it has. It is fairly clear that the developers do no play the game/road tested the UI as they would see that it actually makes productivity harder rather than easier (which is actually the main function of a UI…). The Load function to see more player is just ridiculous, if the platform has system issues loading a list of 800 players then maybe just start again..
@warnie. I picked up a minor mistake in the layout. It has the @ and v mixed up e.g. Witherden @ WC, even though it is at Brisbane. It is small but during the season it could get annoying if you could please pass that on. Don’t mind the website now that I am getting used to it – although drag and drop would be great. Cheers. I picked up on that as well! I’ve sent off a list! That’s on it! Just selected my team after signing up again, however, I can’t seem to re-register my Wife’s team, she has been in the competition for almost 10 years. Is it because I have registered and only one family member can play this year? well the changes are crap, look at all the negative comments, someone take notice and get changes made. Warnie , you know its no good , but you keep saying is ok, get used to it, only because you getting paid for it. The new format certainly seems worse to me. It’s uncomfortable to look at with all the white back glare, no drag and drop, league rankings disappearing, flip cards, what a joke. I guess it suits the advertisers and someone’s mates to set it this way. Love the game. New format and functions well below average and ugly too.